Zou and Boyd Cherry '67 established gifts in their wills to impact Texas A&M students and programs. In the office of Boyd Cherry ’67 sits a pair of shiny, brown Corps of Cadets senior boots. While he can’t wear them anymore, they remind him of a good fit. After receiving his MBA in computing science from Texas A&M in 1972, Boyd and his wife Zou were stationed in Germany, where he served as an ordinance officer in the United States Army. Upon returning to the U.S., the Cherrys called Houston home for 35 years while Boyd worked in the natural gas industry for various companies, ultimately retiring from the Williams Companies Inc. Zou was a teacher and later worked in the corporate world as well. 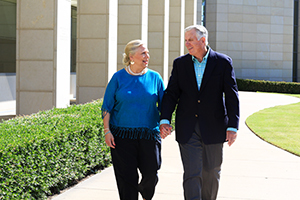 After retirement, the couple returned to Aggieland in 2007. Living among Aggies inspired the Cherrys to support the university. Knowing that a planned gift to the Texas A&M Foundation would have far-reaching effects on Texas A&M students, the Cherrys contacted Gift Planning Officer Angela Throne ’03 to get the bequest language their attorney needed to establish gifts in each of their wills. Boyd’s will includes designations for a Regents’ Scholarship, four Sul Ross Scholarships and four Corps 21 Scholarships, some of which are specifically intended for business and engineering majors. In her will, Zou chose to support Aggie traditions and scholarships. She included gifts for the Memorial Student Center Opera and Performing Arts Society, the Fightin’ Texas Aggie Band and Muster, as well as a Corps 21 Scholarship, a General Rudder Scholarship, a Regents’ Scholarship and a Southerland Aggie Leader Scholarship—all intended for women in the Corps of Cadets. The Cherrys’ planned gifts complement the legacy they began in 2014 when they gave the Mary Nell and Frederick P. Cherry ’41 Memorial Scholarship named in memory of Boyd’s parents. By creating bequests in their wills, the Cherrys retain their assets while living and are assured that if their circumstances change, so can their plans. In the simplest way possible, the Cherrys will make a meaningful impact on Texas A&M. This article was originally published in the fall 2015 issue of Spirit magazine. 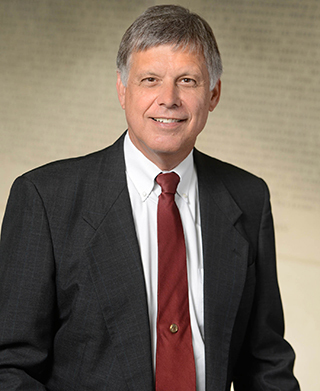 To discuss how a planned gift to the Texas A&M Foundation might benefit you, your family and the university, contact Glenn Pittsford ’72 in the Office of Gift Planning at gpittsford@txamfoundation.com or (800) 392-3310.